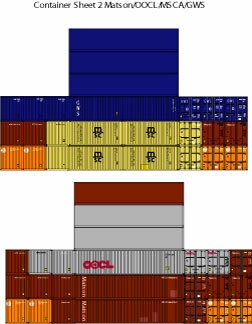 Download these FREE pdf files to create inexpensive blocks of containers for your N Scale intermodal yard. Print them out on heavy paper and cut out. Use scrap wood or plastic to stiffen each block if necessary.